The news everyone has all been waiting for has finally dropped!! Okay… What I mean is the news that I have been waiting for has finally dropped; the lucky baker making the cake for the upcoming Royal Wedding! This may just be the most exciting cake related news in a long time. Unfortunately, my invitation must have been lost in the post so they were forced to find someone else. I am joking, I can bake a pretty mean cake, but 9 times out of 10 I either get half stuck to the pan or impatiently ice it whilst it’s still warm and end up with a gooey but tasty mess! Probably not what Harry and Meghan have in mind. Over the years, the Royal wedding cakes have been somewhat of a beautiful but stereotypical, design, rarely straying from the traditional. They are usually decedent rich fruit cakes, covered with thick “royal” icing and arranged in multiple tiers; in fact, the taller the better in many cases! Kate and William’s wedding cake (shown below) was definitely beautiful, and they kept to the more traditional, although incredibly intricate design. However, if the public know Prince Harry for anything, it is breaking traditions! True to style he has opted for a beautifully subtle sounding organic lemon and elderflower cake, which is to be made by the wonderful Claire Ptak from Violet Bakery, Hackney. It must be such an honour and perfect pay to pay homage to her work. I, like many, didn’t know of Claire until today. Since the announcement, as I am sure many others have done, I had a little stalk on social media and clicked that follow button, and I am so happy I did. Her style is incredibly country kitchen and resonates with me completely; her style couldn’t be closer to how my business started. 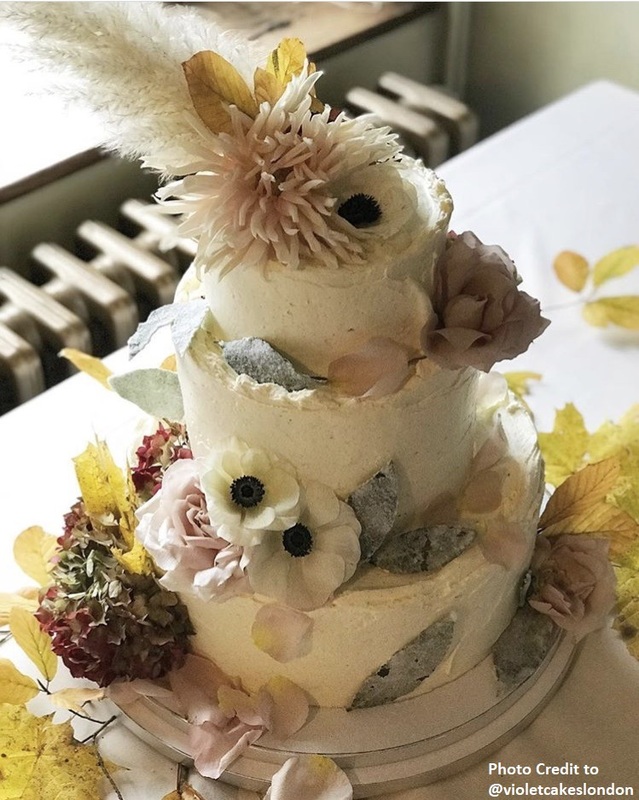 From her family insights to her truly beautiful cakes with edible flowers and other delights, she is definitely worth a follow if you are an avid foodie like me. I am so excited to see what Claire creates for the big day! With Harry straying from tradition here, I can't wait to see if there are any other aspects of the Royal Wedding that are a little different! The cake sounds completely beautiful, I just wish I was able to try a slice. Perhaps a trip to Violet Bakery bakery is in order!